They were all marked with dots for numbers and weighed so the right amount of anesthetic could be used goats dont do well with anesthetic so it was important for the vet to get it right. The horn buds were removed and now they are all sporting blue circles, the older three who are three weeks old we don't know if the de-horning will be successful as they should be done before two weeks. everyone recovered well, next day they were back to there usual selves leaping all over the place. They are de-horned to make it safer to handle them and less chance of injury to each other, castration the males are destined for the freezer come weaning the kids will all move together to a new field and we don't want no unexpected teenage mum's. This was a big occasion, she has taken to milking now accepts it as part of her morning routine, she is a very very friendly little lady but she has been handled since she was born, this makes things a lot easier, she still only uses 3 legs, I did speak with the vet about perhaps having the bad leg amputated but we will see. she gives us a good 2pints every morning. and she happily walked up the drive and back with me and Sol off her lead, what ever it was that scared her before she now has the confidence to walk past, in 8 weeks our rescued lady is a changed dog. See how slim she looks 8kg (17lbs) she has lost. I am doing a happy dance, I still have fingers crossed that the ginger will grow too another failure last year. thought I would do butter in the mixer instead of the small butter churn, set it all up, I was washing dishes keeping an eye on it, it started to separate, went to dry my hands, came back and I passed the moment it should have been slowed down or stopped and it had re-mixed back to cream, it is nigh n impossible to rescue butter from this, it is now back in the fridge I might give it another try today but dont hold out much hope, it will be destined to have with strawberries I think. That's my five for this week, follow the link and pop over and have a look at the other blogs taking part. Think of the cream as a treat. I know butter would have been more use - but once in a while it's good to be kind to yourself! Great post Dawn. Lovely to see daily life at the Ranch from animals, sowing and growing to making and preserving and of course lovely Tess. Your baby lams are so cute and my love to Tess 💕 She is a slim lady now. What an exciting time it must be on the homestead! I love Spring. 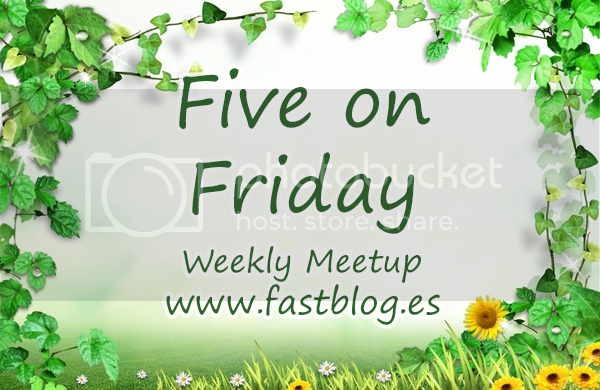 Thanks for sharing your lovely Five on Friday post. Oh what a shame about your butter. I love goat's cheese ..not tried other goat produce though. Your lambs are sweet. Interesting reading about all the things occurring on your ranch. Good luck with your turmeric and ginger! Hope you have a great week. Poor babies...but I do understand why it has to be done! Love that you are growing turmeric. Sorry your butter-making failed but you will have more luck next time if you try that method again, I am sure. Nice post! Enjoyed visiting your world! I love reading about the goats. Does anyone buy the meat or do you have to eat it all yourselves? I'm catching up with your news having come over from Five on Friday link. It's interesting to read all that you're doing on the homestead. Glad the goats are fine and Tess is doing well. Growing tumeric and ginger sounds good. Hi Dawn it brings a lot of joy seeing how Tess has progressed.I remember seeing her on the website,and also was fortunate to meet her while she was getting ready for a walk by a staff member at many tears while I was dropping off food for the dogs.She is beautiful and I am so happy knowing what a wonderful life she has with you and your family. Thank you for sharing her progress with us. You have been having an interesting time with the you.and everything else that has been happening. Nice to know your pooch is thriving now she is in a home where she is loved. Hello, I'm visiting from FonF and it is fascinating to read about your goats and adventures. Good luck with your turmeric and ginger. How frustrating about the butter but hope you enjoy the cream. Hope you managed to rescue the butter! Most of us try and avoid it and there you made it and then lost it, it seems so unfair!